Want to be the first to get your hands on the Huawei Mate 20? Simply register your interest to join our VIP Pre Orders list, giving you first access when pre orders go live. Never miss out on a release again. 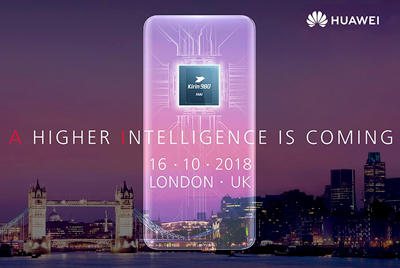 Promising "A Higher Inteligence Is Coming" and Kirin 980 processor we can't wait to get our hands on the latest release from Huawei. The Mate 20 is set to continue the premium feel of the Mate family, offering a rumoured 6.9 inch AMOLED (2240x1080) display, and improved water proofing. You're likely to enjoy 128GB memory and 6GB RAM.Rumors suggest the camera module on the Huawei Mate 20 will include a 40MP primary lens, a 20MP monochrome lens, and a telephoto lens.